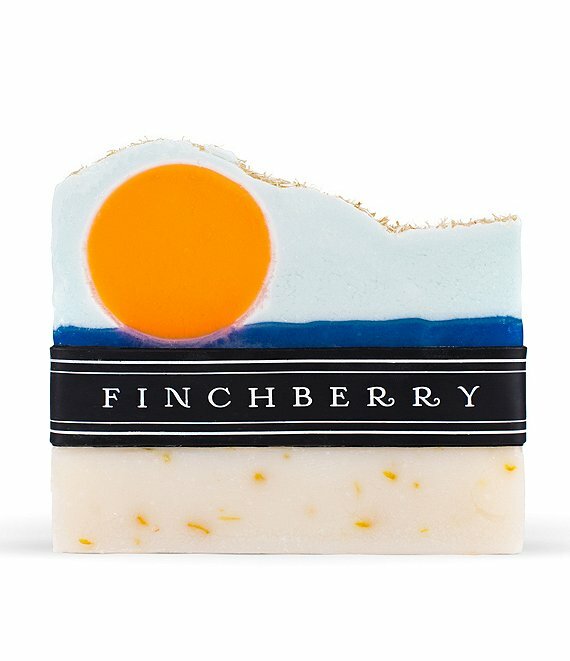 We're happy to provide you with your very own beach sunset view embedded into this fun, refreshing soap. Caressed with scents of lime, cool coconut, juicy mandarin, and jasmine, Tropical Sunshine is another one of our excellent daydreamer soaps, perfect for those who simply need to get away from it all. Feel free to lose yourself in our distinctive, rich lather and even, perhaps, our topside garnish of beach grass. saponified oils of organic olive, organic coconut, palm, shea butter, select essential and/or fragrance oils, calendula flower petals, loofah, zinc oxide, and oxides for colorant, mica.